For the first time since May Bitcoin crossed the $8,000 mark. The cryptocurrency which was trading at just under $20,000 a few months ago dropped to $6,000 in June, where it stagnated for a period of time. In the last couple of days, it saw a surge in price, topping $8,000. At the time of writing, the coin is trading at $8,200. What seems to be surprising this time, is the behavior of other coins. Usually, there is a correlation between altcoins and Bitcoin as the prices tend to move in tandem. This time, other coins suffered as Bitcoin was seeing increases. This could undermine the positive effect of the news for cryptocurrency holders. 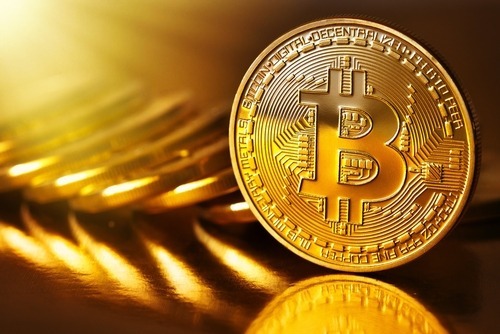 While the investors are waiting for more money to start flowing in the market, the increasing price of Bitcoin with the dropping prices for other coins could suggest that the owners are simply moving their funds from one asset to the other. That is, holders are selling other currencies for Bitcoin, which they might find to be a safer investment at the moment. Not all altcoins suffered as the more popular cryptocurrencies like Ethereum, Ripple and Litecoin also saw increases in price. What could be driving the sudden shift in the cryptocurrency market? A few weeks ago a rumor started to circulate about the world’s largest investment management company, BlackRock, setting up a working group to study the investment potential of cryptocurrencies. The public has long speculated that the interest from the institutional investors is what would drive up the cryptocurrency prices again. The reports on BlackRock could’ve been the push that allowed Bitcoin to cross $8,000, but the hike in price occurred weeks after the report. It is more likely, that the holders of altcoins simply became tired of the stagnating prices and got anxious about the future prospects of their holdings, which is why they decided to switch to more popular assets like Bitcoin and Ethereum. The future behavior of the prices could shed some light on the issue. If the prices continue to increase there might be some serious momentum in the market, which could put the cryptocurrencies on the same path of growth we saw a few months ago. After all, when this much speculative attention is concentrated in the market, it is the public perception that really shapes the price behavior. If people start seeing price increases and believe that they are sustainable, they will become more interested in the asset and start pouring in more money into the market, which will lead to more price gains. Holder’s shouldn’t get too excited about the news. Volatility and sudden price hikes are commonplace in the cryptocurrency market. Unfortunately, it doesn’t signal for future growth. Mark Newton, who is the founder of Newton Advisor commented on the meaning of the price hike, saying: “Given that it has trended down so sharply since May, I wouldn’t want to get too greedy. Looking at cycles near term, this doesn’t mean it will go back to its highs right away.” Some investors hope that Bitcoin might establish a new floor that is higher than the $6,000 it has traded at in the past couple of months. This wouldn’t be atypical for the coin which usually remains at a certain price level after sudden changes for some time. “If we can sustain above $7,800, that would be really bullish and would go a long way to impacting sentiment,” – said Mati Greenspan, Senior Market Analyst at eToro. Some analysts believe that the cryptocurrency prices will drop slightly in August only to recover and start growing in September and October.